On just about any nice day throughout the fall and winter, you can play a round of golf at the 18-hole Smoky Mountain Country Club near Bryson City. 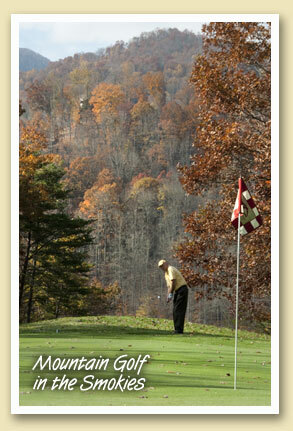 It’s a true mountain course with elevation changes of 400 feet; and at the top, the views are spectacular. The 6000 yard, par 70 public course is open daily until the Christmas holidays; and through the winter months they’ll be open any day when the temperature is 50 and above.